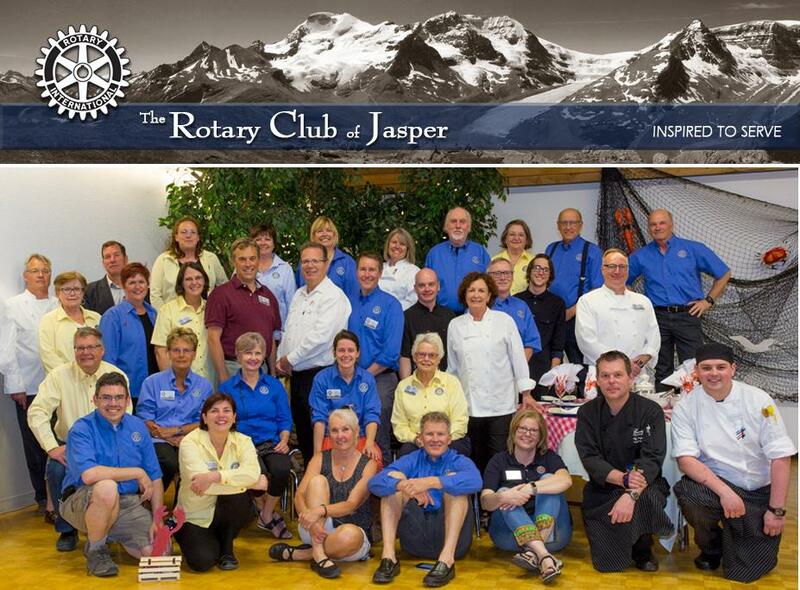 Inspired by our beautiful natural environment of Jasper National Park in and the diversity of people who visit and work here, the Rotary Club of Jasper is a strong group of caring individuals who are concerned about the well being of each other, our community and the world. We are a group of dedicated people representing all aspects of the Jasper community who have fun volunteering to make a difference together. The club strives to support itself so that all of the fundraising proceeds go directly to deserving projects. Rotary International guides the club to build goodwill and peace, provide humanitarian service, and encourage high ethical standards in all vocations. The mottos “Service Above Self” and “Doing Good in the World” are strong ideals which shape our direction. The Rotary Club of Jasper makes a difference by following the guiding principles of Rotary International as well as understanding its own unique position in the world to focus on humanitarian issues close at hand. The club recognizes the efforts of other people and organizations in Jasper who do great things in the community and around the world and who could use extra support and encouragement. The volunteers in the club have fun working together to help support the selected programs as well enjoy taking time out together to learn about and support each other.